Dissolve the instant coffee in water. Add the coffee to a blender with the ice cream. Blend until the ingredients are mixed completely. Serve in cups and decorate with whipped cream or chocolate chips. 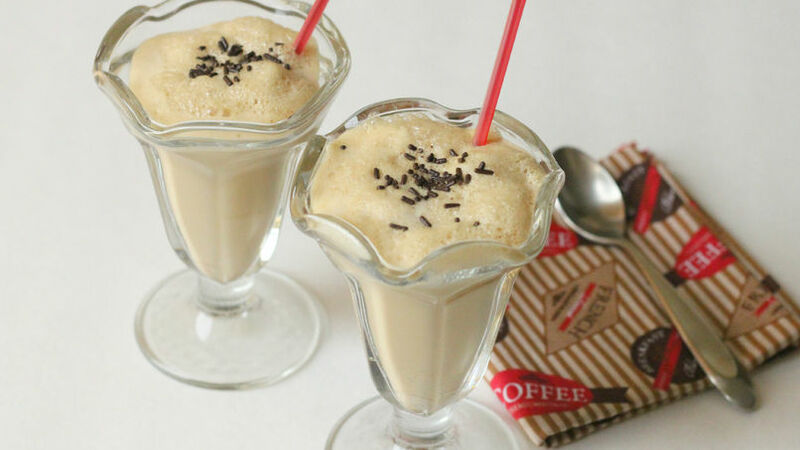 Keep your leftover coffee and make this delicious shake. Living in the United States has proven that the love for coffee is universal. Colombians grow up enjoying coffee with breakfast and again after lunch, some even drink some at night. Our repertoire includes many different ways to enjoy coffee since we consume it in drinks, pastries, breads and even sauces for meat. I’m sure that many of the fondest memories of most Colombians are tied to the aroma of coffee. The recipe I’m sharing with you today can be made in a jiffy and everyone loves it. Let me know how much everyone liked this coffee shake!